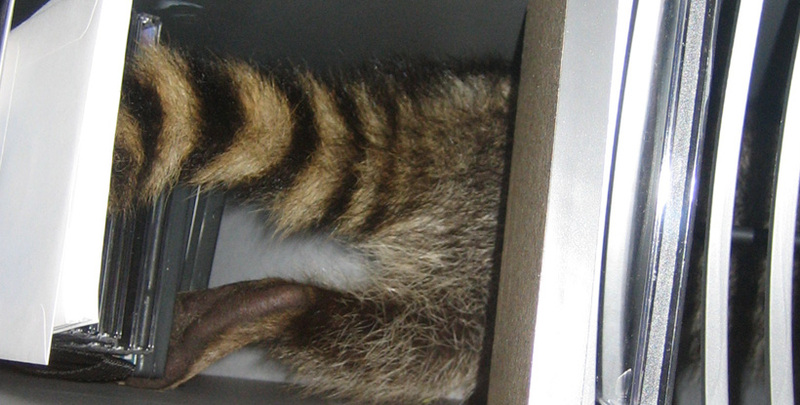 ﻿ How do you remove a wild animal stuck in a dumpster? How do you remove a wild animal stuck in a dumpster? If you are a restaurant owner or on some other kind of business where you are required to have a dumpster to dispose of the waste that comes from your establishment, then you are quite aware that trash may not be the only thing that finds its way into your dumpster. Because of the food and other waste that is left inside this container, wild animals may also find that your waste would make for the perfect meal for them. This means that they will try to get in the dumpster, but often times are unable to get out. So, what do you do to remove a wild animal stuck in a dumpster? To start, it is important to understand that your first response cannot be to do nothing. Not only do these animals carry diseases where their waste could pose a potential health risk to you and your coworkers, but you also have to face the fact that one of these animals may attack yourself or another employee when you are taking garbage out. That would pose a serious health risk to you and to them, and so doing nothing is not a response you can opt for. One option that many consider, is the use of poison. If they poison the animal that it would die, and when the garbage people came by to pick up the dumpster they would pick up the dead wild animal to and your problem would be resolved. That sounds like a great solution, but you still have a dead animal in your dumpster that still poses a potential health risk to you and your fellow employees. This just doesn’t work. What you are looking to do is to get rid of this animal and ensure that you don’t endanger yourself or anyone else in the process. You can try using a trap in the dumpster itself, but this would make the most sense if you are talking about a smaller sized wild animal. If you are talking about a rat, mouse, or squirrel, then a trap makes sense, but that doesn’t work for Fox, raccoon, or other larger sized animal. If it is a dangerous animal, like a fox or a wolf, then your option is to call animal control. Because of the potential danger that these animals pose it is likely that your local county or city agency would assist you in removing them from your dumpster.